We are proud to introduce this magnificent Rococo chair which includes a footstool. It would look fantastic in any home because of its aesthetically pleasing design which consists of a simplistic style with an elegant and contemporary touch. 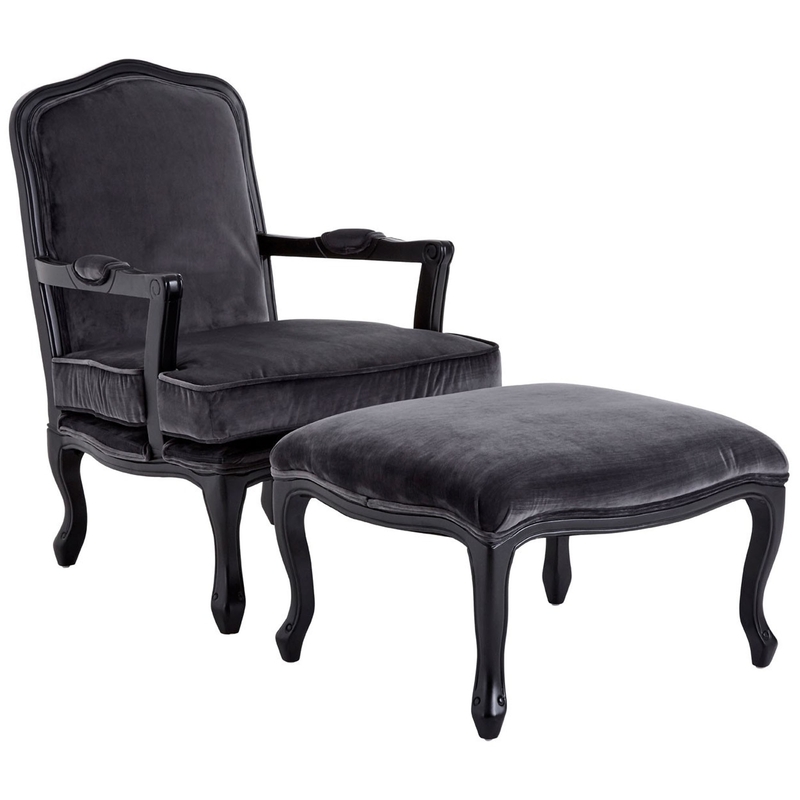 This dark grey Rococo chair is a grey version of our many beautiful Rococo occasional chairs and fabric armchairs.